The whole team at Varese Wedding (Laura, Elena, Sylvia, Alessandro) were absolutely fantastic from start to finish. From helping select the ideal venue (and within our budget! ) in the Tuscan countryside, to helping show us around to our shortlist of venues for venue hunting - it made the process of selecting our venue feel more like a holiday than a chore during the wedding planning stage! Being based in a different country (London, UK) to the wedding venue - we needed a wedding planner that could effectively and efficiently deal with local vendors (especially important as we didn't speak Italian) and also to help us shortlist the best suited vendors for our dream wedding. The whole process of selecting vendors (florist, lighting, musicians/ DJs, etc. ) 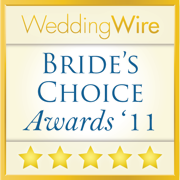 via email/ online communication was extremely straightforward and the vendors recommended were of the highest quality. Both myself and the groom were so relaxed leading up to the wedding day, that we were even travelling and holidaying up till the day before the wedding! 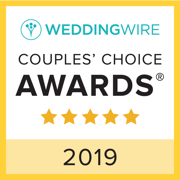 We would not have dared dream to do this were it not for having the confidence and comfort in knowing that everything would be taken care of by the team at Varese Wedding. We didn't have to do a single thing on the day of the wedding as Elena took care of the set up of everything on the day of the wedding. This allowed us the rare privilege of being able to be worry free on the day of the wedding, enjoy the day in its entirety, and also take our time in getting ready! Our wedding day was absolutely perfect, all our guests had the best time and we had the best day of our lives. All of this was only possible due to the immense help and support that Laura, Elena, Sylvia and Alessandro from Varese Wedding gave us. We cannot be more thankful to them for helping us achieve our dream wedding, as without them it would not have been possible. Varese Wedding cannot be more highly recommended! My new husband and I could not be more thankful to the wonderful Varese Wedding team for putting together our impeccable autumn wedding in Rome! Without them, planning a wedding in Italy while living in New York City would be an impossible endeavor, but they managed to keep us calm, informed and on schedule every step of the way. Both Laura and Chiara from the Varese Wedding team professionally and seamlessly navigated the relationships with all the vendors throughout the planning process as well as on the day of the wedding. Much like the definition of love, the Varese team were always patient and kind; they offered insights and support, gave us plenty of time to choose and review our options, made sure we were comfortable and confident with our decisions. Laura was always reliable and responsive via email and she was flexible with setting up calls whenever something came up. If there were ever any concerns she resolved them and offered answers in a timely manner. Laura went the extra mile in facilitating bookings and providing us with options and guidance; I was very indecisive and must have changed my wedding vision several times but Laura was patient with me all throughout. Chiara was a true angel on the day of our wedding: extremely organized, steadily calm, somehow with all the commotion around she maintained her genuine and sweet attitude even as she juggled our very last-minute requests. We were extremely grateful to have her with us! The Varese team are seasoned professionals and are there for their clients every step of the way – I was completely delighted with their follow-up, even after the wedding they made sure to check in on us and get our feedback. We cannot thank either of them enough for making our wedding a truly unforgettable event. Thank you! we cannot thank enough Laura and her amazing team to make our event so perfect! Everything was well planned! From the romantic celebration to the fantastic food and service. Laura was professional and flexible and she seemed to understand exactly what we want, suggesting lots of ideas. We couldn't have planned our dream wedding in Italy without her and her team's help! Un giorno indimenticabile . Tutto perfetto. All ‘inizio ero un po’ scettica nel contattare una wedding planner perché pensavo che potevo benissimo organizzare tutto da sola e che sarebbe solo stato un costo in più che si sarebbe aggiunto al nostro budget. Invece dopo aver visitato 10 locations e girato diverse fiere matrimonio ero ancora più confusa di prima. Incontrare Laura da un suggerimento di un’ amica e’ stata la decisione più giusta. Non solo ha capito subito quello che desideravo per il mio matrimonio ma ci ha anche proposto delle nuove idee. Tutto e’ stato come desiderato anzi di più. Il giorno del matrimonio ero tranquilla e non ho dovuto preoccuparmi di nulla perche’ Laura e il suo staff ha pensato a tutto. Grazie di cuore. E alle future spose posso solo suggerire di considerare una wedding planner e di scegliere Varese Wedding. 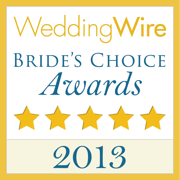 Could not have been happier with the experience of working with Varese Weddings. They were professional and everything was perfect. I highly recommend them to any prospective bride and grooms looking for help planning a wedding. Without the incredible work of Laura, Elena, Alessandro, and the rest of the Varese Wedding team, planning an Indian wedding in Italy, from the US in less than 5 months, would have been unimaginable. From our initial email to the day of the wedding, Laura was extremely responsive and open to our ideas. Her upbeat and positive attitude made us feel confident that we could pull this off. She provided detailed options and recommendations for venue types based on our specific needs. Also, she was able to source and coordinate both local Italian and Indian vendors in Italy for our many wedding events. For a variety of different local vendors, she acted as the primary point of contact and helped facilitate our relationship with them so they could best understand our needs. She proactively went beyond what she needed to do. Throughout all of the planning, she was very transparent and honest about what was available and what our options were. She was always conscious of our budget and made sure that we were provided high quality options and services that would meet those requirements. We highly recommend Laura and her team to plan a destination wedding in Italy. Laura and her team from Varese Wedding organised a beautiful, elegant and still relaxed wedding for us, just as we wanted it to be. As we live abroad, we could plan our event mostly via e-mail and skype and always received the answers we needed. Laura arranged viewing appoinments for us to find the right venue and two test meals, so that we could more easily decide on the catering. We sent her pictures of the decoration and flowers we liked and she found vendors, that decorated the venue exactly as we wished. Varese Wedding reminded us of all the details and eventualities that had to be considered. On the wedding day all the suppliers and staff arrived on time and knew what they had to do, so that my husband and I could focus on our guests and didn‘t have to worry about anything. Laura stayed until the end of our wedding day and made sure the timetable was met. Her recommendations and help were invaluable for us. We got a lot of compliments from our guests for the romantic location, the atmospheric ceremony and the excellent food. I gratefully think back on our wedding day and love my husband even a little more for finding Laura as our wedding planner. Laura and the team at Varese Wedding were excellent from start to finish. I would highly recommend their services. They took the stress away from planning our wedding day especially because we are based in Ireland and did not come to Italy until the weekend of our wedding. They have a great knowledge of the area and different vendors to use. They responded to my emails promptly and answered any questions, worries or concerns I had. I will be forever grateful to them for making my wedding day a day to remember. Siamo veramente contenti di aver alla fine scelto l assistenza di un wedding planner. I miglior soldi spesi per il matrimonio. La pianificazione stava diventando un incubo, quasi un secondo lavoro... E quando degli amici ci hanno consigliato Laura e Alessandro di Varese Wedding eravamo un po’ scettici. Ma il tutto è diventato molto più semplice, loro sono dei veri professionisti e abbiamo trovato insieme il giusto compromesso tra i nostri desideri e il nostro budget di spesa. Il giorno e’ stato bellissimo e che dire tutto perfetto... CONTENTISSIMI! Everything was perfect. Laura was very responsive and professional throughout. Laura from Varese Wedding was professional and helps us organize a beautiful wedding in Italy. She made me feel at ease during the whole planning process and most importantly on the day of the wedding. I highly recommend to hire a Wedding planner to organize a Wedding in Italy and Varese Wedding is absolutly a good choice! Volevo ringraziare le ragazze di Varese Wedding per averci organizzato in modo impeccabile il nostro matrimonio sul Lago di Varese. Oltre ad averci prenotato la Chiesa, il fotografo, il catering... , ci hanno suggerito mille idee che hanno reso l'evento unico. Non vediamo l'ora di vedere le foto! Consiglio a tutti di affidarsi ad una Wedding planner e Varese Wedding e' la scelta migliore. We got married in Lake Como using the services provided by Varese Wedding. We enjoy the Wedding day with our 100 guests comune from Europe and Brazil. We recommend Varese Wedding if you want a NO stress Wedding in Italy. Thanks Laura and Alessandro for the excellent job. Muito obrigato! Laura and Alessandro were super helpful and willing to explore any idea and suggestion as well as took the lead and gave us creative suggestions where needed. As a couple where both of us work 100% and have 3 kids, we really appreciated the excellent service Laura provided. Would recommend anyday. Varese Wedding made our destination wedding to the perfect day ever! We could not have asked for a better wedding and for so good service and help from Varese Wedding and the companies they used for the perfect flowers and the trio band playing during our wedding! We reccomend this to everyone. We found Varese Wedding trough google and we always got respond back everytime and all the other service they helped us with was very good! Varese Wedding = Perfect! I highly recommend Varese Wedding team for a wedding in Italy. We had an unforgettable wedding day. We cannot thank enough Laura and Alessandro for the hard work and passion in creating a magic wedding day. Varese Wedding worked with us to organise our June 2016 wedding in the Dolomites near to Cortina d'Ampezzo. They were very clear with us from the start about the package they offered and the costs (as opposed to some other wedding planners). I had a Skype call at the start with Laura and she listened to all my ideas and she definitely got what we were looking for (even if I didn't really know myself!). Every step of the way we knew what we should be doing and what was happening. When we added extra things we wanted late in the day it was no problem. Laura recommended photographers and florists for us, for example and she gave us a good amount of choices and was, again, really clear on costs. The day itself was beyond our expectations - the venue, staff, food, flowers, photographer, interpreter were all exceptional and they all worked together to give us an excellent day. Behind the scenes Laura and her team had clearly worked very hard to make sure they chose only the very best suppliers and to make sure everyone knew what they were doing. This meant we could relax and enjoy our holiday (and do lots of hiking) without stressing about last minute details. There is no way we could have had the wedding we wanted without Varese; in fact, they ensured we got to legally marry in a unique venue despite the Italian town hall initially declining our request. Varese's service is worth every penny. I recommend them without any hesitation. Laura and Elena were absolutely amazing throughout the whole planning process of our wedding. Nothing was too much to ask and they were always happy to help. They made me feel at ease if ever I had concerns, as planning from another country, I wouldn't have been able to do what they done for me, by myself. I highly recommend using Laura and the team, this is money well spent and I would recommend them to anyone getting married in Italy. When we realised we wanted to get married in Italy, we knew we'd need the help of a wedding planner to help us - particularly in the area regarding forms / permissions etc. We found Varese Wedding from searching online and in very quick order were in touch with Laura sorting out a large number of different issues. In the early days we were concerned that the services of a wedding planner would add to the cost of what is already a costly occasion. In retrospect, that was not the case - they were very, very good value for money. As time progressed, we found that we were working closer with them and involving them more and more in areas of our wedding that we thought we'd handle by ourselves. One simple example: a friend was officiating at the wedding service and he asked if he could have a lectern from which he could read his lines. The problem: how do you find not just a lectern for hire but a lectern that's going to look good in all the photos? Personally, I wouldn't know where to start but Laura knew - and it was her help in solving all the many little issues like that that made such a huge difference to our wedding. The net result was that we had a fabulous day; we loved it, our guests loved it and the photos show it. I would happily recommend Laura and Varese Wedding to anyone. They'll work with you and they won't try to change your ideas, just suggest things where they think they can be improved or point out potential problems that you might not have considered. Why did we need a Wedding Planner? In retrospect it was because they had the experience that we didn't and they knew the answers that we didn't. And it was that experience and those answers that helped to make the day so special. Laura helped us with our wedding in Venice, Italy in September, 2015. Although Laura is not based in Venice, she was able to quickly present a lot of options based on our style preferences and budget. As we live in the states, we communicated with Laura mostly through email. She was responsive and patient with us, and able to find answers to our questions quickly. Laura never pushed for anything we didn't want, but at the same time would tell us where to save or spend our money when we were concerned about the expenses. Also, we remember we were extremely disappointed when we found out from the hotel event manager the day before the wedding that they would likely move our outdoor canal-side ceremony into an indoor meeting room due to the high chance of rain. Right away, Laura reassured us that she'd negotiate with the hotel to at least keep the ceremony outdoors if the rain wasn't bad. Her encouraging words really lifted our spirits! On the day of the wedding, initially we were a little worried that we would have problems with the final details without any rehearsal or face-to-face meeting, but everything turned out just perfect! 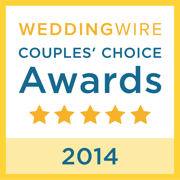 Our guests continue to tell us how much they enjoyed the wedding. Planning a wedding abroad was not the easiest thing, but Laura and her team made the process as painless as possible. We would like to thank you all the persons involved in our wedding, especially Laura and her staff at Varese Wedding. We cannot be more satisfied of all the planning for about 1 year and of the coordination on the day. Varese Wedding provided lot of suggestions and recommended good wedding suppliers. It was difficult to plan a destination wedding, living far, but with Laura and her staff help everything was smooth and perfect as planned. My husband and I had the wedding we always dreamt and family and friends were so enthusiastic, that they still talking about. Grazie di tutto. Siamo pienamente soddisfatti entrambi. Ci siamo sposati a Mustonate il 30 maggio ed è stata una giornata fantastica. Ringrazio tutto lo staff. Thank you so much to plan such a beautiful wedding day! Everything was perfect and our family and friends still talk about the wedding. Thank you! Thank you!